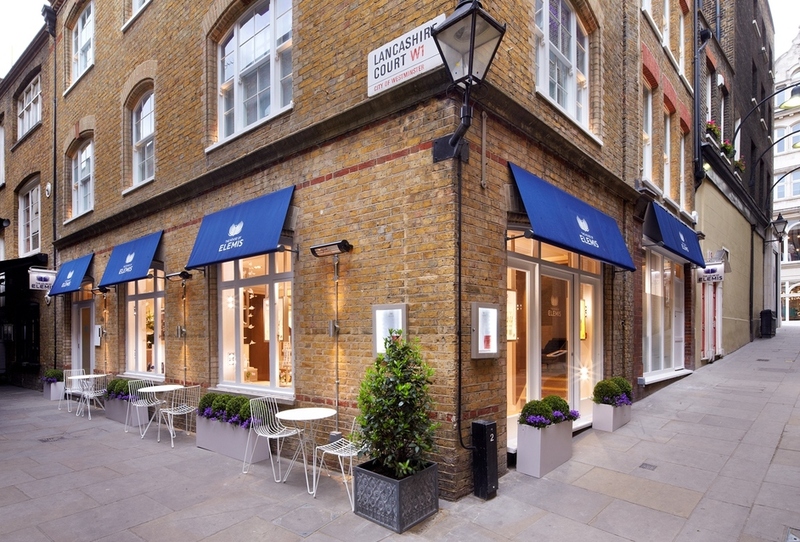 Following a major redesign, the Elemis flagship spa in Mayfair re-launched as the House of Elemis in 2015. More than just a spa, it's 'a couture beauty house' that brings together science and beauty, offering a wide range of hi-tech treatments that promise results. Guests are invited into a calming space that combines natural tones, textural lighting, artisanal glass and ceramic work, reflecting the brand's ethos of the best that nature and science have to offer. An exclusive piece of artwork by Valeria Nascimento and porcelain flowers scattered throughout the House also add to the beautiful space. Co-founder and creator of Elemis, Noella Gabriel, has worked with a team of experts, including nutritional therapist Amelia Freer, fitness expert Steve Mellor and make-up artist Kelly Cornwell, to create a menu that's full of action-packed yet relaxing treatments. Options include a range of BIOTEC anti-ageing and skin solution treatments, energy boosting and musclease massages, and beautiful bride makeovers. There's also the choice between The Speed Spa, offering a range of fast but results-driven treatments, or the luxurious Penthouse, where the spa concierge will arrange anything from cars to dinner reservations to theatre tickets. The House of Elemis gyms, sporting activities, health & beauty and fitness. What are the best dining options near The House of Elemis London? The best pubs near London The House of Elemis. The House of Elemis clubs, bars, cabaret nights, casinos and interesting nightlife. Where to have your meeting, conference, exhibition, private dining or training course near The House of Elemis. From cheap budget hotels to luxury 5 star hotels see our deals for The House of Elemis hotels, including Holiday Inn London Mayfair from 79% off.